Urgent Care Fair Oaks is open 365 days a year! Our physicians and medical staff at urgent care Fair Oaks Walk-in Medical Care are committed to providing you with the best, most comprehensive medical care. Our mission is to provide you with the best patient care without the long waits associated with emergency rooms and overbooked primary care offices. We collect co-pays and bill at primary care physician rates so that your visit to our clinic will be less expensive when compared to a normal urgent care site or emergency room. While your primary care office might provide you with personalized care, our Walk-In Medical clinic in Fair Oaks is committed to providing a range of medical services and primary care that may not be available elsewhere. We're committed to serving our local Fairfax community with our clinic Fairfax with quality medical care. Our Urgent Care Fair Oaks location is open all year round, 7 days a week, 365 days a year to care for all of your non-life threatening medical issues. We are a walk-in facility, no appointments necessary, and on average will have you in and out in less than an hour. Contact our Fair Oaks Doctor for your non-life-threatening medical needs. The services our Urgent Care Fair Oaks clinic has at our Just Walk-in Medical Care ranges from annual physicals, drug testing, vaccines, worker compensation care, and x-rays to name a few. For example, our X-ray services use the state of the art X-ray equipment available at each clinic. Whether its a chest x-ray during an annual physical or a diagnosis of a knee injury? In fact, our medical staff will assist with the highest and best professional medical care possible. Most of our patients at our Urgent Care Fair Oaks clinic are treated within an hour! 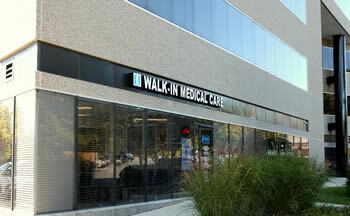 Our Urgent Care Fair Oaks is conveniently located on the grounds of Fair Oaks Mall. Across from the Sears and Lord & Taylor parking lot, adjacent to Starbucks." We are in the building with Bank of America.